MEMBERS! Don’t forget to check your emails for your exclusive discount code – Monthly Meetups are FREE for official Girl Shaped Flames. Read more info about our VERY Special Guest below! Pauline played a major role in the business growth and optimisation of the operations of Hewlett-Packard, Bupa Australia, MBF, Australian Taxation Office, i4bright, QSuper Group, and Allianz Partners Australia. She applied her expertise on IT, Operations, Customer Service, Marketing, and Branding to take these companies to the next level, streamlining their systems and increasing their overall efficiency. She has helped Hewlett-Packard in developing and enhancing solutions and technologies for Digitisation Services, Lending Operations, Call Centre, People and Change Communications, and Operational Finance. Pauline’s entrepreneurial and creative spirit has allowed her to build her first start-up, CheeHoo, a fully integrated life and virtual personal assistant app, designed to help people hustle smarter and stay connected to people in their lives. She hopes that this app will enable users to reduce social media noise in their lives so they can do things that are important to them and connecting with people they value the most. When not growing her business or transforming other businesses, Pauline spends time in her advocacies. She promotes children’s wellness through charity and research. 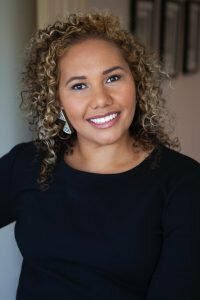 She supports women’s causes, helps small businesses in developing countries, and would like to move her endeavors more towards awareness on domestic violence both in Australia and in the Pacific Islands. For Pauline, success comes full circle when she’s able to contribute and leave any situation better than when she arrived.